Filmmaker John Bridcut has been given access to the Prince over the past 12 months, both at work and away from the public stage. Charles’s wife, the Duchess of Cornwall, and his sons, the Duke of Cambridge and the Duke of Sussex, have been interviewed for the programme. The 60-minute documentary, which will be broadcast next month, is entitled Prince, Son and Heir: Charles at 70, and has been described by the BBC as “intimate documentary” offering “a unique insight” into the future king. Charles – the nation’s longest serving heir to the throne – turns 70 on November 14. 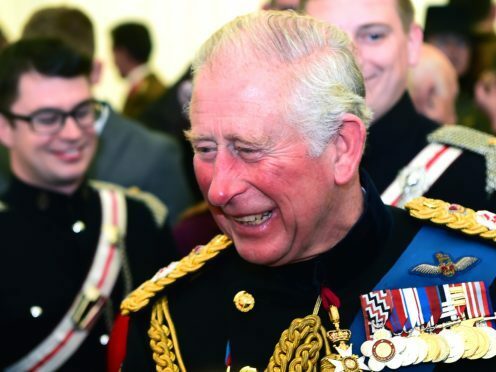 Charlotte Moore, director of BBC Content, said: “It’s a real privilege to be given access to the Prince of Wales and those closest to him to mark his 70th birthday. According to the BBC, the programme reveals how Charles, who has established a host of charities and is patron of more than 400 organisations, believes his work is far from finished. “What emerges is a revealing and intimate portrait of the longest-serving heir to the throne, who still feels he has a lot more to do,” the BBC said. Bridcut previously worked with the prince on The Passionate Prince (2008) and The Prince and the Composer (2011), as well as on two film portraits of the Queen, Elizabeth at 90 (2016) and A Jubilee Tribute (2012) for the BBC.